Decorative Metal buckets are great for a variety of uses! 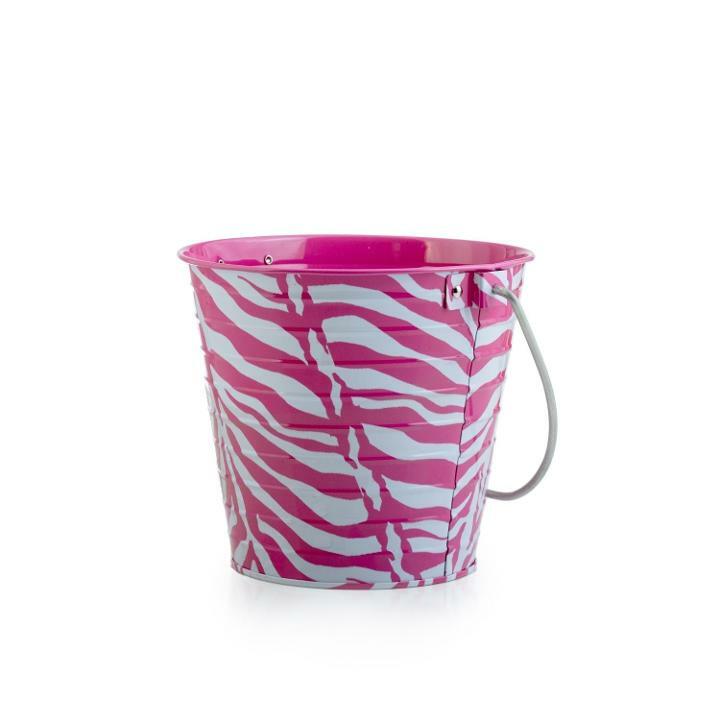 Use these zebra printed metal buckets as centerpieces, fill them with gifts or candy, use as a table decoration; the options are endless! Each bucket comes with an attached metal carrying handle which also allows these buckets to be used as balloon weights. Each bucket measures 5 1/2" in diameter and stands an impressive 6" tall! Check out our complete line of decorative buckets and gift supply accessories.